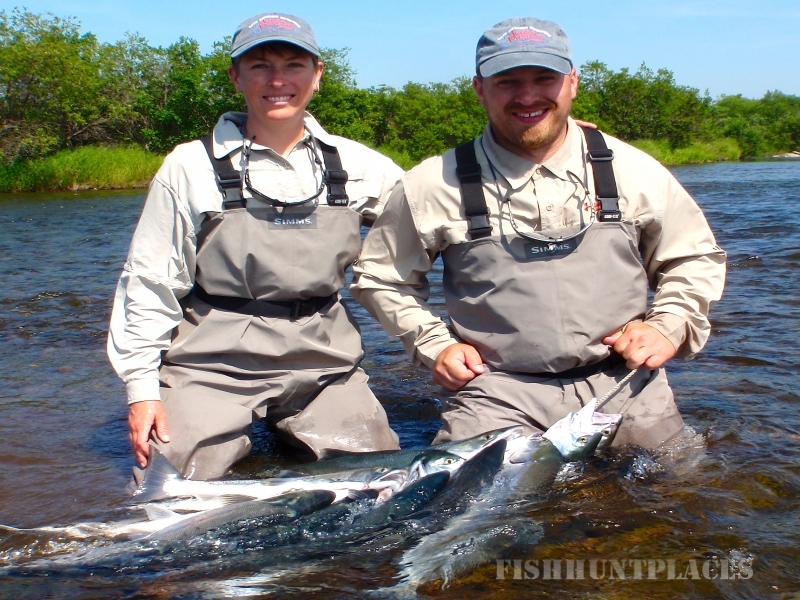 Experience Alaska Adventures the premier wilderness fly in fishing lodge,specializing in Salmon fishing trips. 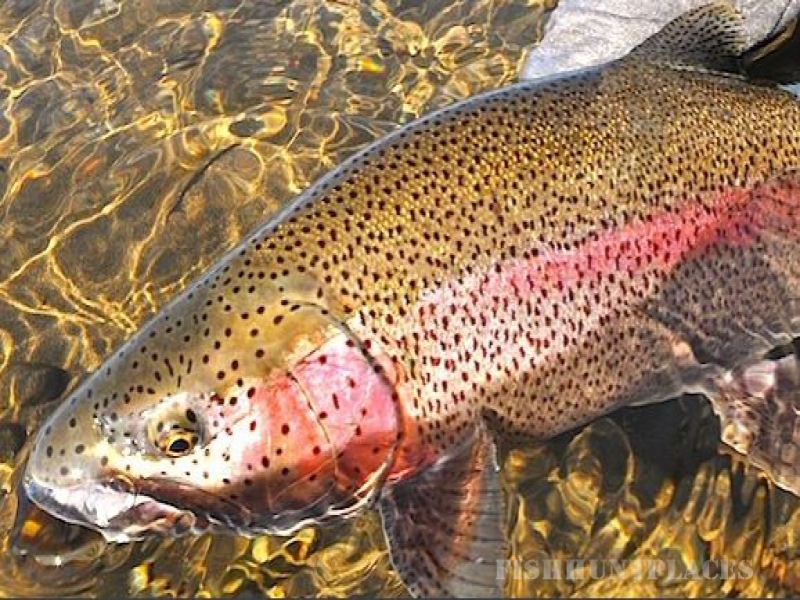 Our top Alaska fishing guides specialize in Alaska flyfishing for trophy Salmon and wild Rainbow Trout. Our home river the Alagnak has over 2 million Salmon returning each summer. We can offer our guests an Alaska fishing trip or Bear viewing adventures tour of a lifetime. Our modern Alaska flyfishing river is located in the heart of the Katmai National Park 40 miles NE of the town of King Salmon, World famous for Salmon and wild Trout fishing trips and bear viewing tours. 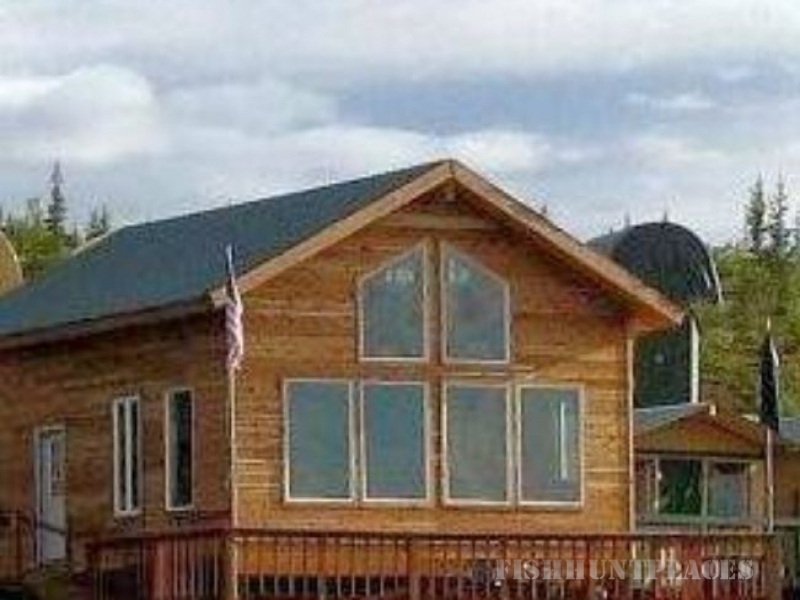 Our FlyFishing and Bear viewing adventures lodge sits on 160 acres of pristine land with 3800 ft of private river frontage on the nationally designated wild and scenic Alagnak River. This unique wilderness adventure allows you to experience a true remote fly in atmosphere without the crowds associated with Salmon trips or bear viewing tours off the road system. 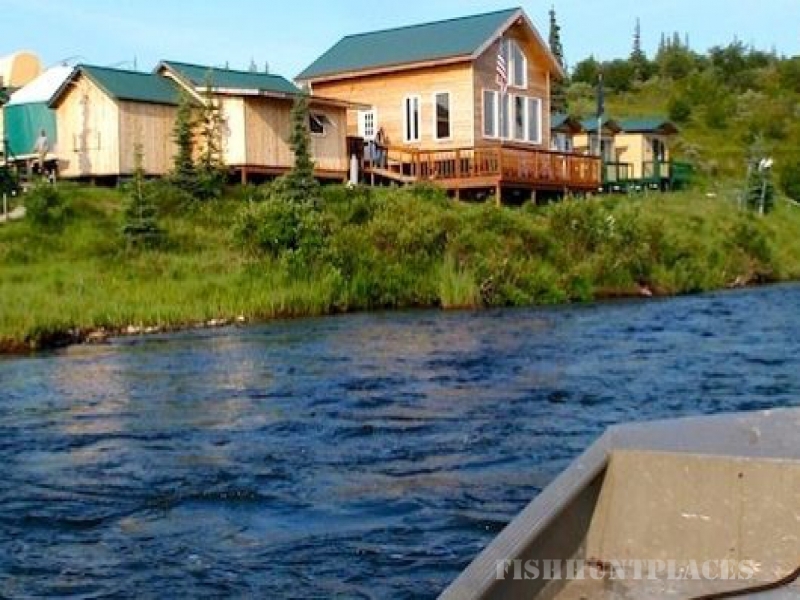 Alaska Adventures lodge offers world class Alaska trips for rainbow trout, arctic char and grayling 40 yards from the main lodge with extra fishing before breakfast or after dinner on your own. We offer fishing trips for all 5 salmon species awaiting for you at our fishing lodge’s doorstep with unlimited adventures 20 hours a day.